New research commissioned by ARM has highlighted that the tide might be turning in the acceptance of artificial intelligence, not only in the industry but in the wider world. While the importance of AI has widely been championed in the technology sector, the perception has been a bit less enthusiastic from consumers. For the most part, there has been a general misunderstanding and also misrepresentation of what AI is, and it would only be considered human nature to dismiss something which is not entirely understood. Perhaps there was a fear jobs would be scarce, a loss of control would be a step too far or maybe people actually believed the deathly promises which AI has delivered through Hollywood. 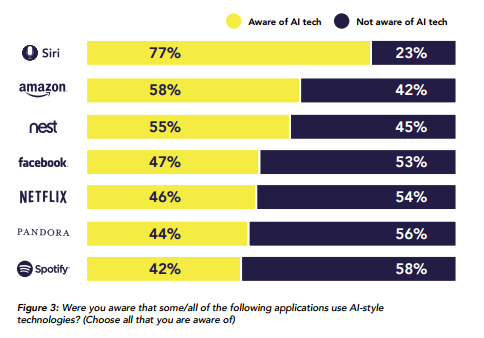 Now we’re not saying this research is definitive proof of the wonders of AI, but perhaps it is important to note that the respondents were from the general public, not industry. These surveys don’t come around that often, so it might be worth paying attention. 61% of the respondents believe AI will have a positive effect on their lives overall, 55% of people would trust an AI programme to drive their family around should it be proven accident rates are lower, and 60% would be happy to have an AI application in charge of home security (i.e. unlocking doors for approved people). Some of these statistics demonstrate the progress AI has made over the last few years, but also the acceptance from the general public. Firstly, the majority feel comfortable with the impact of AI. More than half would be happy to release the element of control when driving. And 60% would trust a machine to ensure the safety of the most intimate environment in their lives. Your correspondent is not a psychologist, but these seem like some pretty monumental milestones in creating credibility and trust in machines. This is not the definitive acceptance of AI as a technology in our wider lives, though it most certainly a step in the right direction. Over the last few years, we as consumers have gradually become more accustomed to AI without realizing it. More AI applications have been drip fed into our lives and subconsciously we have not only accepted them, but welcomed them. It would appear that while there are still negative perceptions of AI, the positive impact outweighs these concerns. Question still remain in the mind of the consumer, such as what does an AI future look like, but these questions are still being answered by the tech industry as well. Fear of the technology does appear to have been diminished, or perhaps there is a new wave of optimism which is disguising the fears?